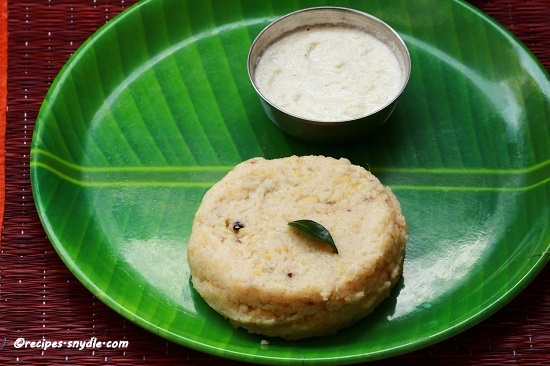 Pongal is an easy and healthy South Indian breakfast dish. It is made with rice and dal (moong dal). But today’s pongal is a little different. 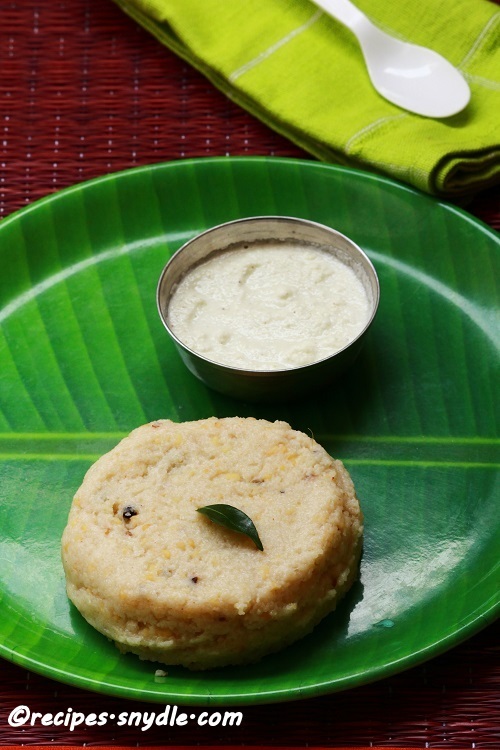 It is made with rava / semolina and moong dal – rava pongal. It is very easy to prepare, tasty and healthy too. The method of preparation is little different for both. 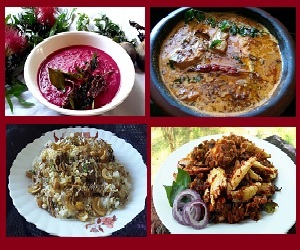 In rice pongal, both rice and dal are cooked together whereas in rava pongal, rava is cooked separately and moong dal is also cooked separately. But it is equally tasty. Serve pongal with sambar, coconut chutney or gosthu. Nowadays, I make this rava pongal very often for breakfast or dinner. If I am making rava pongal for dinner, I reduce the amount of ghee. But during breakfast, I serve rava pongal with extra ghee for kids. It is really tasty. Try making pongal with pure ghee. It is really very tasty and flavorful..
1. In a pan heat a teaspoon of ghee, add moong dal / green gram dal and roast it on medium flame till it becomes golden brown color. 2. In a pressure cooker add 1 cup of water, add roasted moong dal and pressure cook for 1 whistle in low flame. 3. In another pan, heat ghee and fry rava until golden color and the raw smell goes off. 4. To this add 3 cups of water, add required amount of salt and cook on low flame till rava gets cooked well. 5. Once rava is cooked well, add moong dal along with the cooked water. Mix well. 6. Add coarsely powdered pepper and cumin powder and grated ginger. Mix well until it reaches the desired consistency. 7. In a pan, heat ghee, fry cashew nuts, and curry leaves nicely. 8. Serve hot with coconut chutney or sambar. Hope this post was useful. Do leave your comments, view or suggestions in the box below.